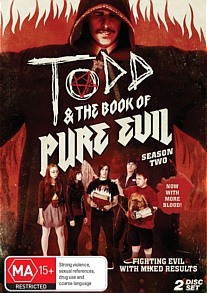 Todd & the Book of Pure Evil Season Two DVD Review Todd and the Book of Pure Evil is now one of my favourite shows, so I admit I’m a little biased, but the combination of Metal, Marijuana and Monsters is like Catnip and I just can’t get enough of it. 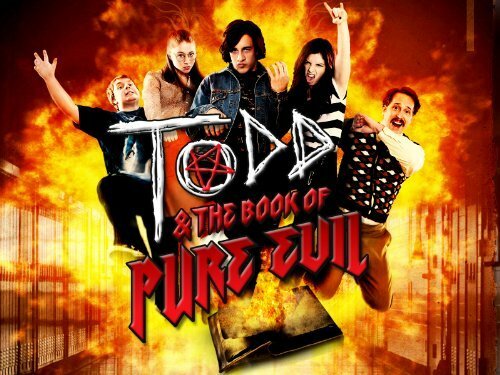 An amalgam of Buffy the Vampire Slayer, Kevin Smith slacker films and the often hilariously overly earnest Metal genre, Todd and the Book of Pure Evil is one of the best television shows currently on the air. 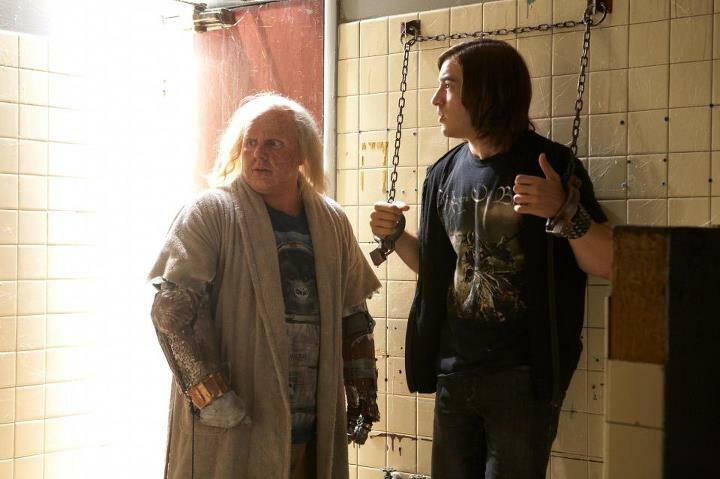 At least, it was; the future of this fantastic show is at risk after it was unceremoniously dropped by its network despite healthy ratings and a cult following, leaving the prospect of a third season doubtful. This release of the second season may go some way to tide over fans whilst they wait anxiously for a definite answer regarding the fate of their new favourite show. If you haven’t yet had the extreme pleasure of experiencing Todd and the Book of Pure Evil, allow me to fill you in on the semantics. Perennial stoner Todd lives in a haze of Heavy Metal and teenage angst, spending his days jamming with his one armed friend Curtis and dreaming of scoring with Jenny, the school’s resident vixen who also just happens to be searching for her father, who went missing whilst investigating the book. After attempting to use the book to serve his own needs, Todd finds himself having to hunt down the errant book and attempt to undo whatever mischief it may have caused through its power of granting wishes... And then distorting them into a nightmarish interpretation far from their original intention. With the help of Curtis, Jenny and resident science geek Hannah, Todd journeys ever closer to unlocking the mysteries of the book and its connection to him, all the while having to contend with the enigmatic janitor Jimmy (Played by Kevin Smith favourite Jason Mewes), the interference of satanic school guidance counsellor Atticus Murphy and the behind the scenes machinations of both the satanic council that runs the town - from a retirement home – and the trio of drug addled metal-heads who may or may not be minions of Satan. Phew. Did you get all of that? This season explores Todd struggling with the revelation that he is the pure evil one prophesied to destroy the world, the blossoming relationship between Curtis and Hannah, the fate of Jenny’s father and the ramifications of Atticus’ satanic council power grab from last season. The gang faces down voracious octogenarians, get trapped in a video game, fend off the amorous advances of an invisible chronic masturbator and even travel through time to a dystopian future where the prophecy has come true, all while having to survive high school and raging hormones. A particular stand out episode is an inspired all musical rock opera that harks back to that classic Buffy episode “Once More With Feeling”. The misadventures of Todd and the gang as they attempt to destroy The Book of Pure Evil once and for all are even more creatively twisted and painfully hilarious this time around. Although solid in of itself, there were some weak moments in the first season as the show struggled to find its feet and tone. This season, however, is crafted with a deft hand; the combination of horror and comedy is a tentative union at best, with attempts all too often erring to one side at the expense of the other. This isn’t the case here, with a synergy evident between the two genres not seen since the hey-day of the aforementioned Buffy the Vampire Slayer. 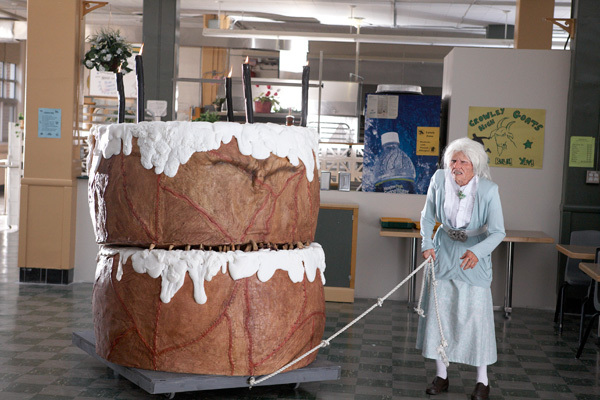 During the first season I found myself lamenting the sparse runtime of the episodes; at just over twenty minutes by the time an episode got all of the exposition out of the way, things were winding up. To me it appeared that Todd was a show that would benefit from a forty-five minute slot, if only to fully flesh out the warped and subversive plots of the episodes. Although this minor quibble didn’t affect my enjoyment of the series I’m glad to say that with the second season they’ve nailed the pacing one hundred percent. The casting is pitch perfect, particularly the barely restrained performance by Chris Leavins as Atticus Murphy. Essentially adhering to a “Monster-of-the-Week” formula, the overall story arc that runs through the episodes is well structured and drip feeds tantalising plot points and red herrings masterfully. The DVD transfer is nice and clean, with vibrant colours and no major visible compression. As is usually the case with DVD, the blacks can appear a little washed out and there is a fine grainy quality to the picture that softens the image. There’s also a little bit of aliasing in scenes with lockers present. These minor quibbles are forgivable given the low budget nature of the show, however, and the transfer itself is top of the range. Audio is only available in Dolby Digital 2.0 but the absence of a 5.1 feature isn’t detrimental to the show at all. Levels are mastered carefully, with no bleeding and clear differentiation between music, dialogue and incidental effects. There are an abundance of special features available on this set. From a look behind the scenes at the show’s production to full length musical sequences, there’s something to satisfy the curiosity of most fans. Best of all are the enthusiastic commentary tracks on selected episodes, with the cast and crew’s dedication and belief in the show shining through clearly. 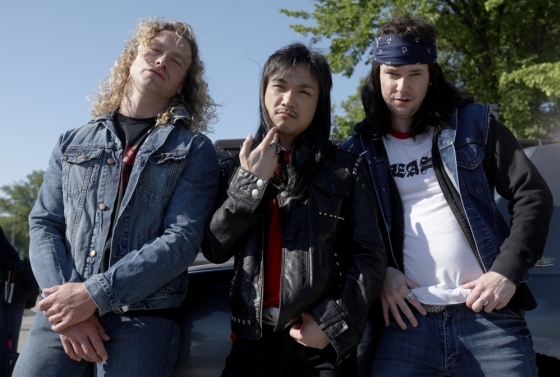 Todd and the Book of Pure Evil is now one of my favourite shows, so I admit I’m a little biased, but the combination of Metal, Marijuana and Monsters is like Catnip and I just can’t get enough of it. It’s a shame that a third season hasn’t yet been announced, especially considering that this season lays the foundations for a series changing revelation. Read through the names of some of the episodes and you’ll probably be able to work out if this is your kind of show or not; if it is, run, don’t walk, to your nearest store and grab a copy of this triumphant piece of work. You will not be disappointed.